What a fun surprise! I have the pleasure of being featured as one of the many faces of the Ghoultide Gathering in two different national magazines this fall. 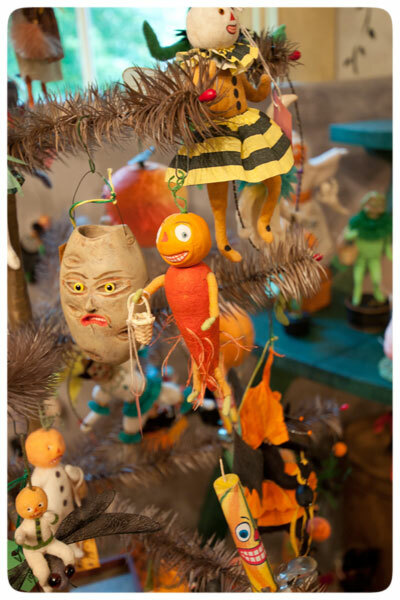 The art of each and every artist that exhibits at this fabulous show is truly wonderful, so I am honored that my folk art characters have been chosen to help represent a gathering of talent beyond imagination! 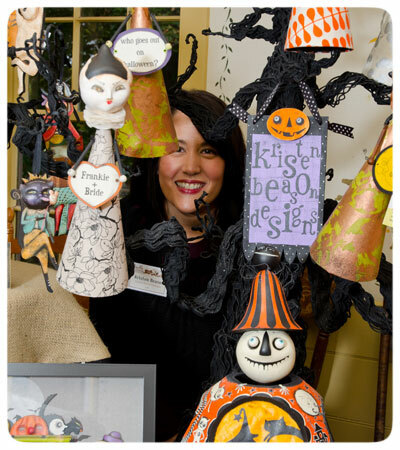 At last year's Ghoultide Gathering, photographer Brad Ziegler from Midwest Living Magazine made the rounds to each artist's table, just hours before the doors opened to the public. He snapped an assortment of images from each artist as we anticipated the show to commence. 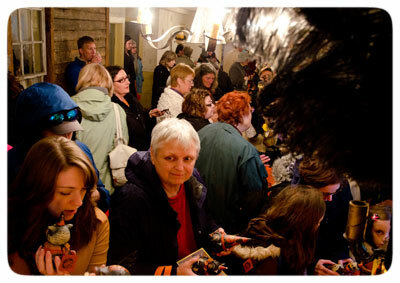 As quickly as he appeared, he vanished as the frenzy of collectors took center stage. So, almost a year later it is such a delight to see that a sampling of his photos did indeed make the pages of this October's Midwest Living! 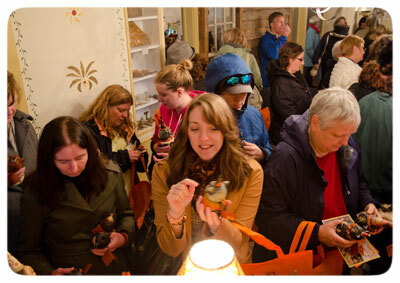 Turn to page 69 and look for the page titled "Discoveries ~ A few of our Favorite Midwest Finds." 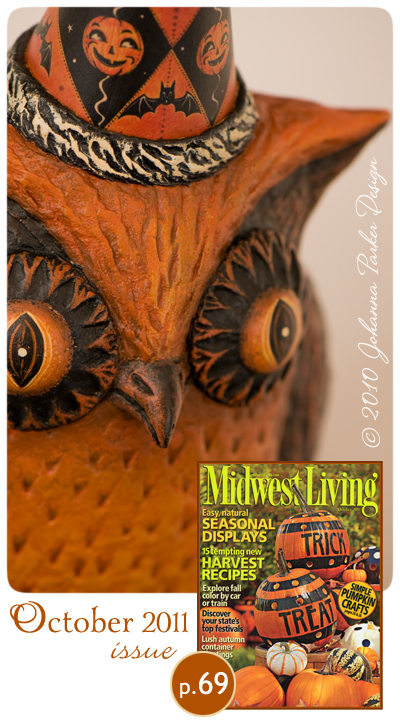 An original standing owl sculpture of mine perches at the top right corner of the page, and as I recall, he was one of the first pieces to fly off the shelf! For those of you in the midwest, you should be able to spot this magazine on the stands, and for all others, you can order a copy from Midwest Living. And have you heard of A Primitive Place Magazine? It's a treasure for those of you looking for your primitive fix! 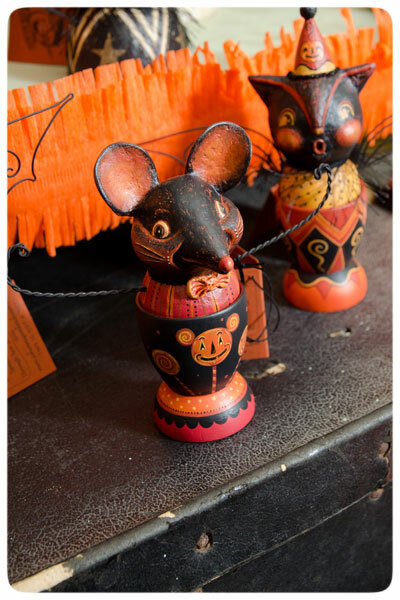 This past spring, this year's artists of a Ghoultide Gathering were asked to submit images of their Halloween folk art, nestled in primitive-style settings, all for a possible feature. 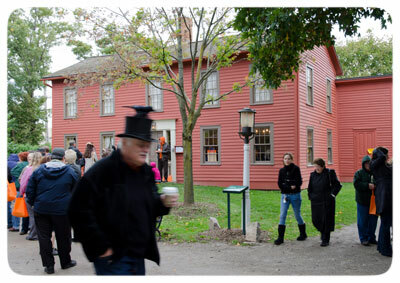 This was an easy task for me as a I have amassed a small library of images that I have snapped in the surroundings of my mother's colonial style home. 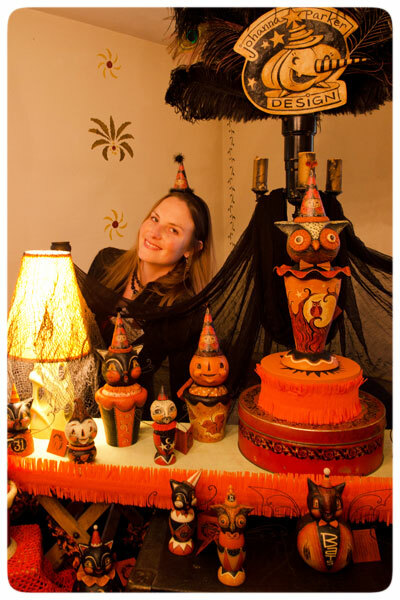 She has an ever-growing collection of my Halloween folk art, so luckily I was able to resort to the photos that I have taken in her primitive home over the years. 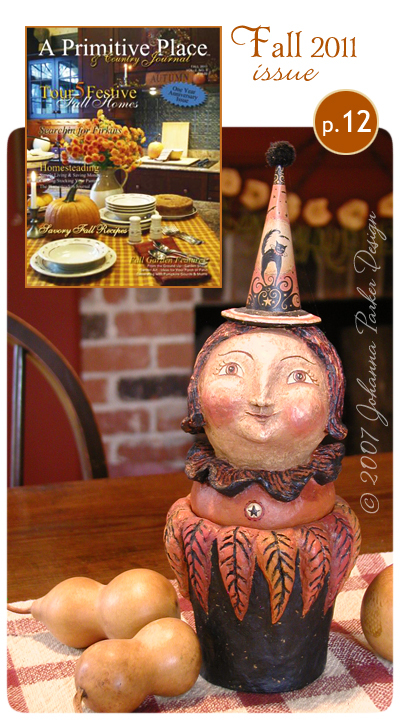 Fortunately, the candy container witch I made for mom several years ago is included in their Fall 2011 issue! 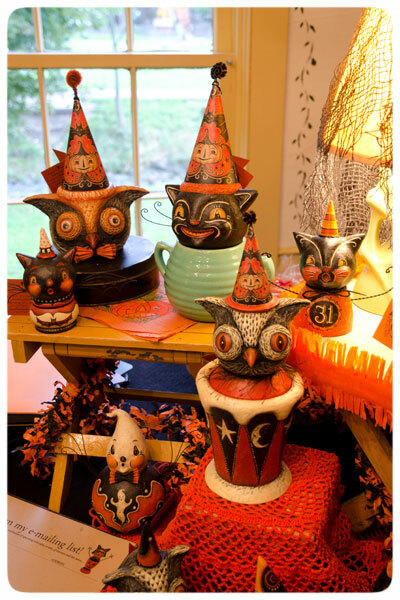 Alongside this sweet piece in the magazine is a fun assortment of my black cats and owls that I photographed at mom's Halloween Collectors Event. 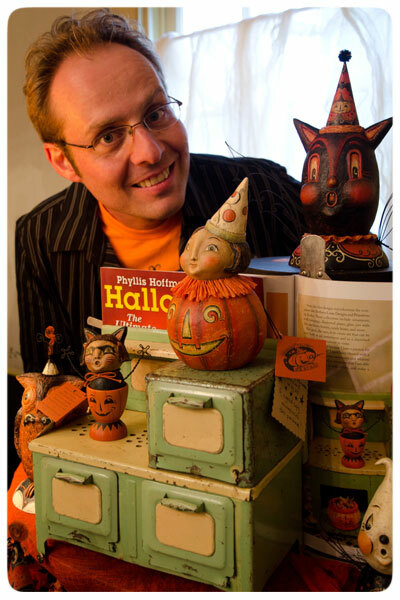 To see it all and the wonderful work of several other of my Halloween artist friends, please order you copy HERE! 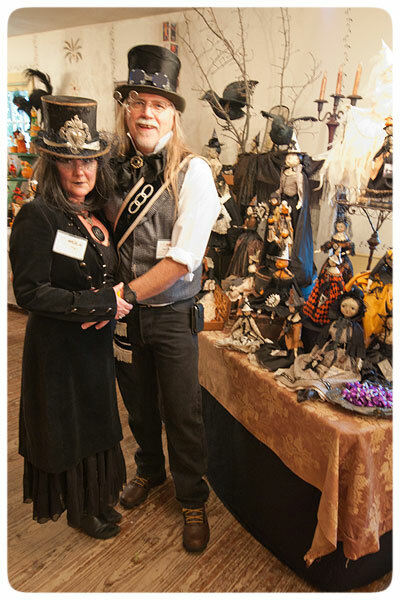 The 5th Annual Ghoultide Gathering promises to delight your senses and transport you to a place of whimsy and imagination. 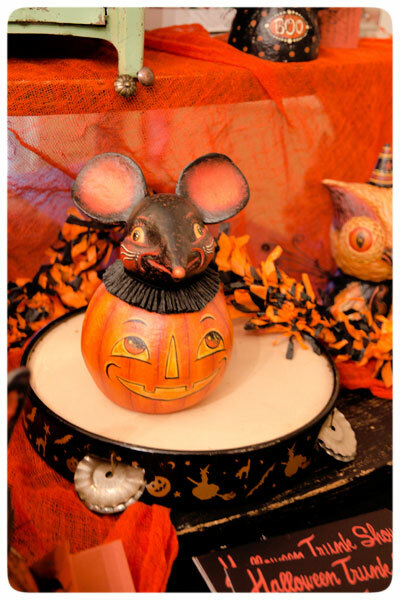 If you love the happy spirit of Halloween, you must join us! 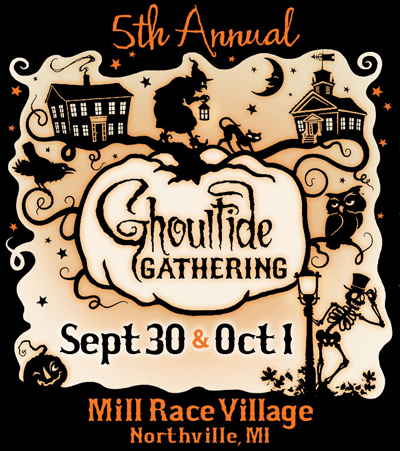 See you at the Ghoultide Gathering! So, the news has been out for a month, but I realized that I had not made it official here... 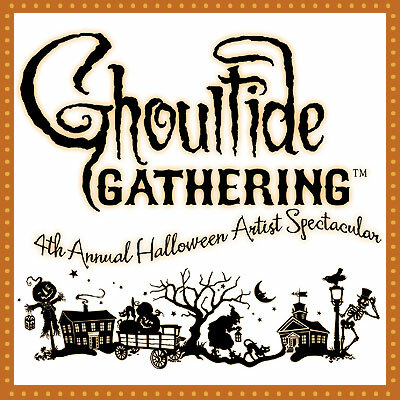 I am truly honored to be a part of this year's 4th Annual Halloween Artist Spectacular Ghoultide Gathering! 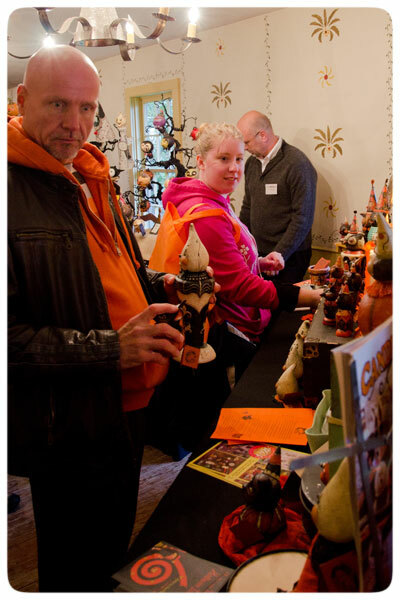 What a treat it will be to exhibit my original Halloween creations at this acclaimed event. 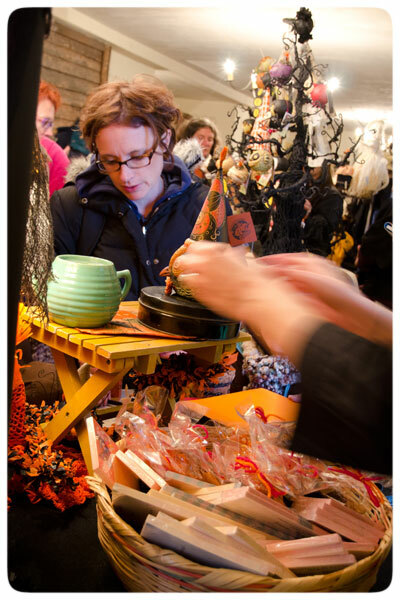 You can visit Ghoultides's Website for a peek at the participating artists! 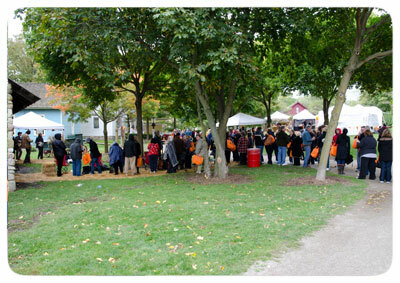 This very special event takes place in Northville, Michigan on October 2nd. 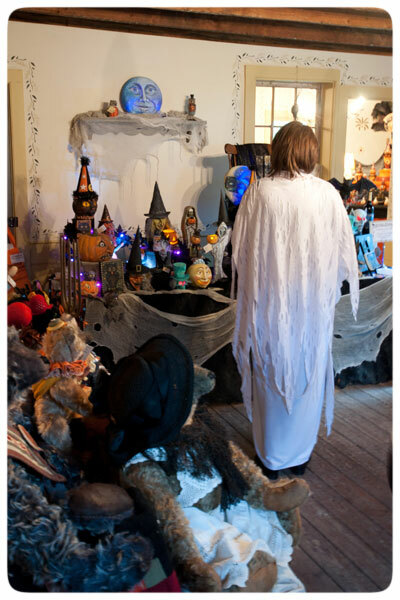 Ghoultide Gathering is a juried show that strives to offer collectors the highest quality Halloween art in an unexpected variety of styles and mediums. 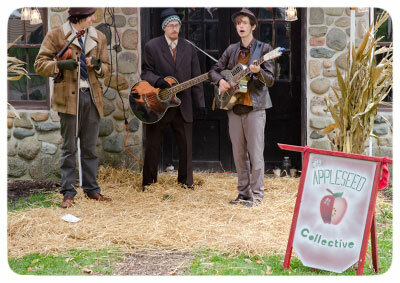 I hear it's magical, the setting is charming and historic, the artists are amazing and the collectors are passionate. 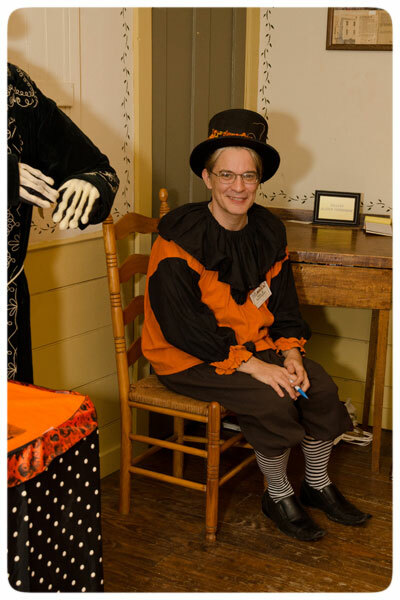 Gathering from the emails I have received, I know that many of you are anxious to see photos from the fabulous Halloween & Vine! Well, get ready :) I must admit, I have spent several hours just preparing these images, so I hope you enjoy them. 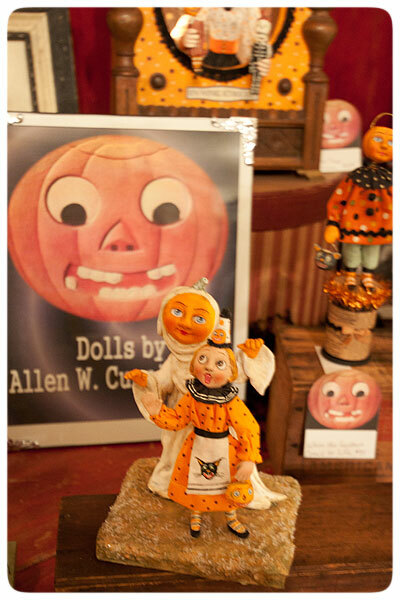 This annual show is so unique, that it's my pleasure to share with you a glimpse into this year's festivities. As always, it flies by so fast that I never see everything I want to see nor do I have a chance to photograph everything that I want to capture. 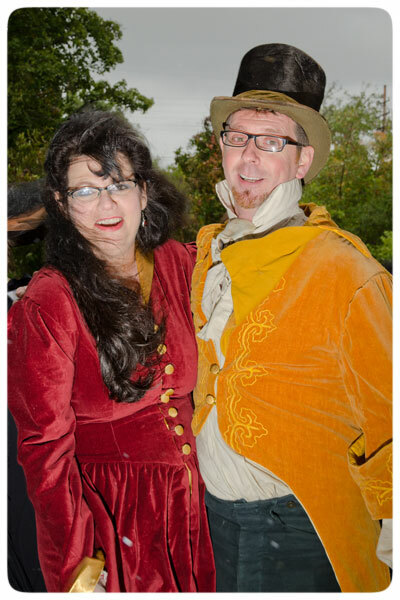 Or in some cases, the photos turn out like a big silly blur, so I'm featuring the best images I have to offer. Let's hope other artists do the same. 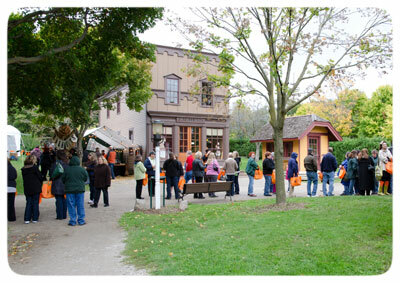 Of course, I recommend attending the show if you really want to experience the sights and sounds for yourself! See you there next year, I hope!..... ENJOY! 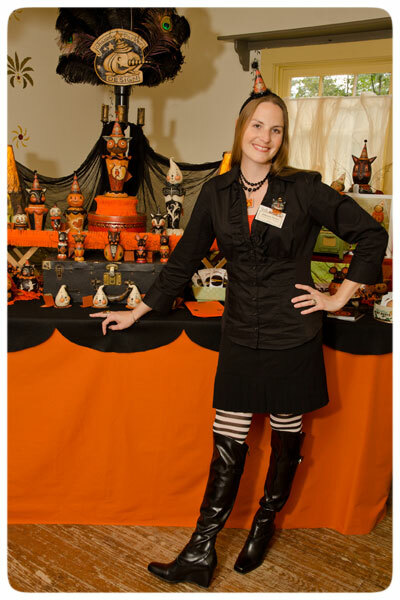 * A pic of Vergie Lightfoot (who was next to me ) and her spooktacular table of goods... Ca-Ca-Ca....(inside joke :) he he! 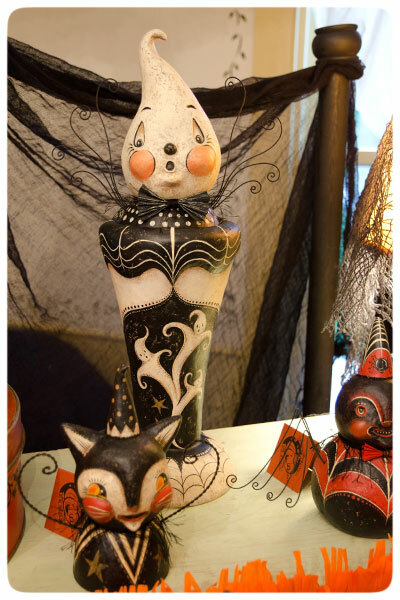 * A close-up of Vergie's handmade treasures....Love those cats!